Show your pride for your local firefighters! 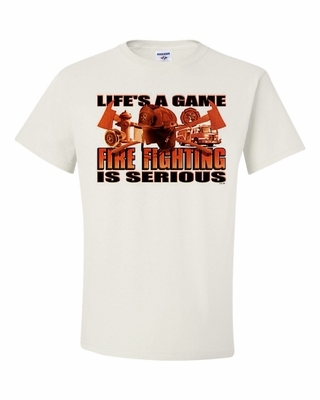 Our Life's a Game, Fire Fighting is Serious t-shirts and sweatshirts are available in a variety of colors, sizes, and styles. Pair it with a Life's a Game, Fire Fighting is Serious coffee mug for a special gift. 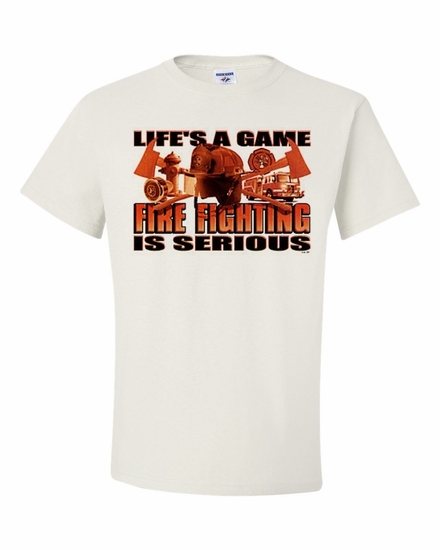 Remember� you found the Life's a Game, Fire Fighting is Serious Shirts at TShirtHub.com, where high quality came at a low price.